Erin Moritz was raised in Belleville, Kansas, and received her undergraduate degree from Kansas State University. 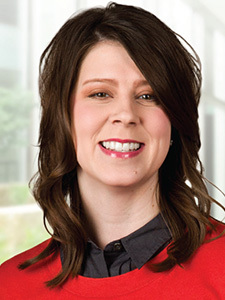 She later attended Wichita State University, where she completed the Graduate Physician Assistant Program, and then moved to Tulsa and joined Dr. Edward Yob and Dermatology Associates of Tulsa. Moritz is certified by the National Commission on Certification of Physician Assistants and the Oklahoma State Board of Medical Licensure and Supervision. She is a member of the American Academy of Physician Assistants and the Oklahoma Academy of Physician Assistants.